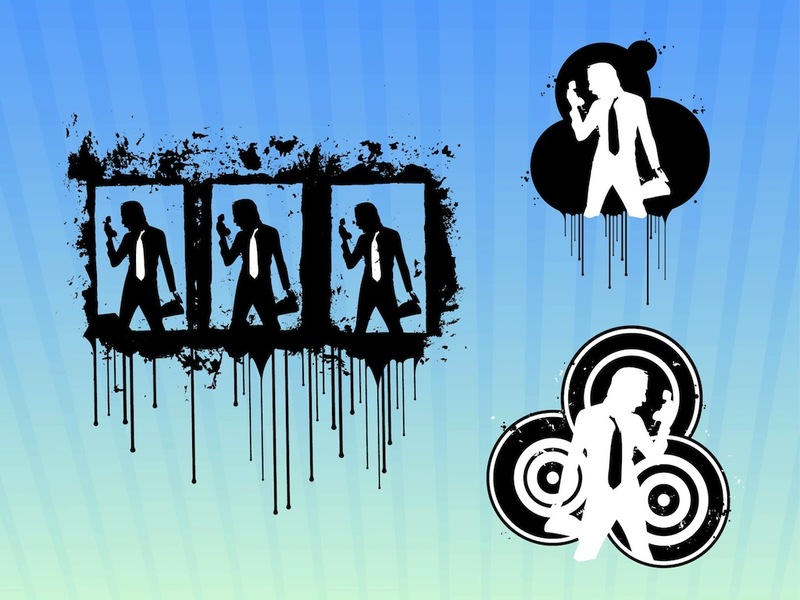 Street art style vector graphics of a man having a conversation on the telephone. Silhouette of the angry shouting man wearing a tie and formal suit. Different frames and decorations, grunge patterns and dripping paint. Free vector images for all communication, shouting and arguments projects. Tags: Angry, Man, Scream, Shouting, Silhouette, Talk, Telephone.